I'm looking at Rotary tables from everywhere. PeterT has a very nice bison which costs new more than my mill. Decided to look on eBay and found the above Atoz for $237. Looks pretty similar to the busy bee 6" at $365 and Accusize $326. The Atoz is direct shipping from India for $7. Seems a bit odd but the store has good reviews. Anybody try Atoz? KMS Vertex 6" is $450 made in Taiwan. I have one of their milling vises and it's good. $450 seems like a lot. KBC is also quite a bit more. 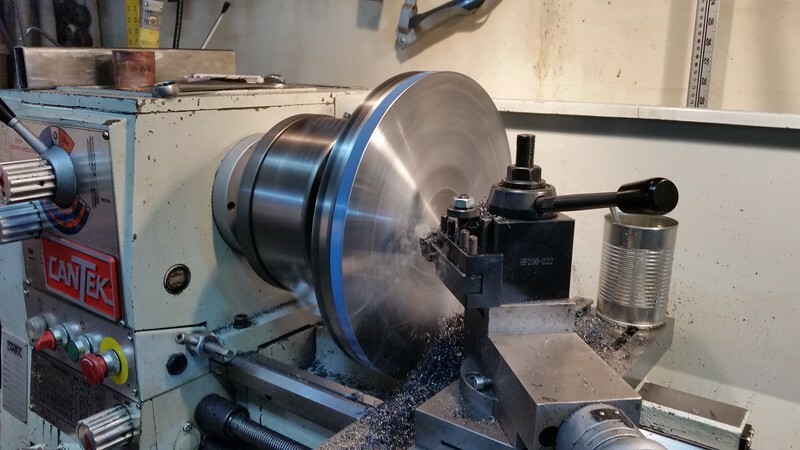 Will I want the tailstock and how important is a index plate? Finally the Atoz has 3 hold down slots compared to the more usual 4. Will I care when centering material? I asked Atoz about an indexing plate. Hilarious answer. Dear sir, due to economic instability in the country due to demonitization, manufacturing is on halt, we are currently dealing in ready stock. Indexing plate is nouded in the price and we only manufacture indexing plate in bulk quantity. We will inform you when it is being many tired and if needed will send you at a best nominal price possible. 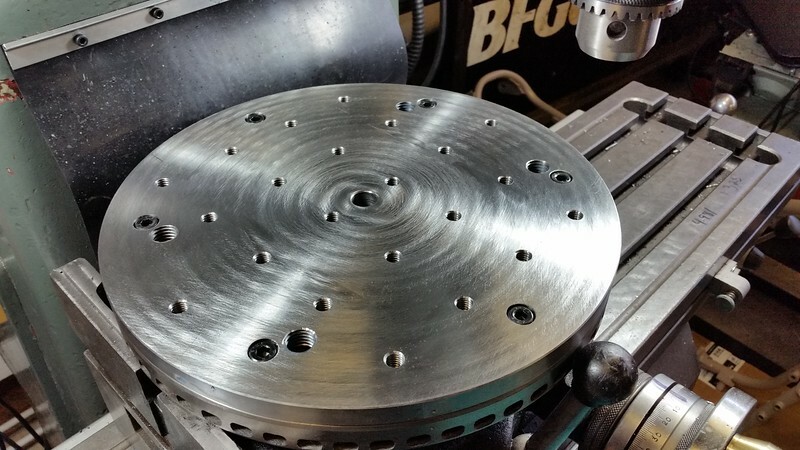 You can trust us on that.The rotary table will be shipped within 24 hours of your confirmation . I feel for ya. Went through this same issue years ago. They can be pricey lumps of metal for some reason. I've read about some OK Chinese stuff & also some horror stories. Its such a crap shoot if you cant see it in person. If it was only clean out casting grit, repack the grease & tweak a bit that would be fine. 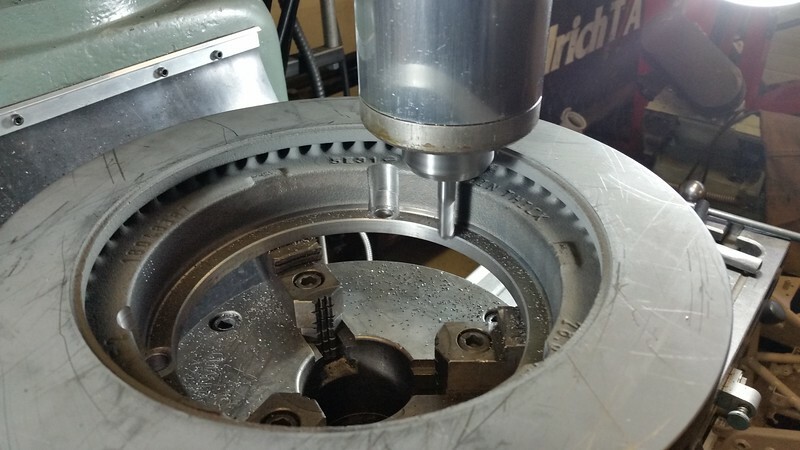 But if the gears are cut crappy or platen & surfaces are not ground properly then its an irritating boat anchor because difficult to replicate those components. And RT's are heavy PITA parts to return weight/shipping wise through online vendors sight unseen. Vertex makes pretty good stuff IMO. Just watch out for the tricky label 'like Vertex' brands that are creeping in. Dividing plates... useful for sure really depends on what you see yourself making. The only consideration is if you say no now & years later want them, there's a chance you might not see the correct set, they can have nuances how they mount. 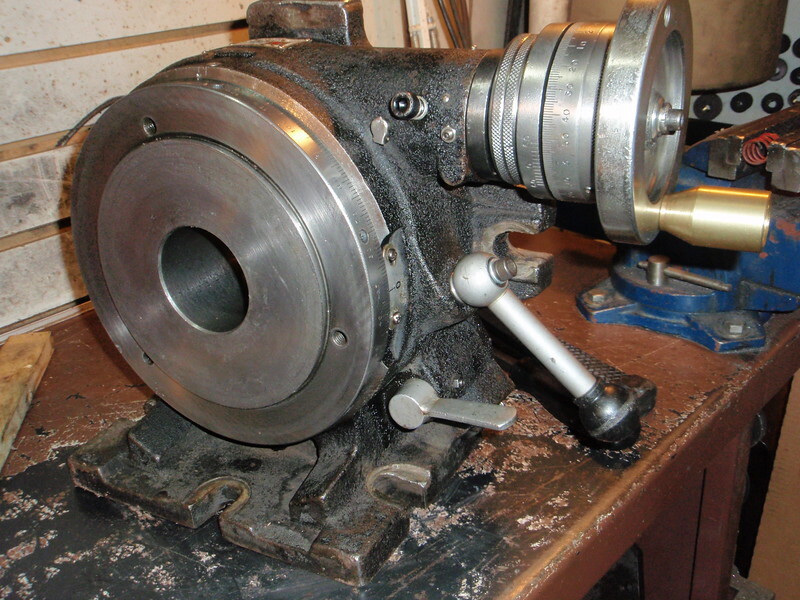 Tailstock - again depends on what you are making. Long skinny things in horizontal mode need rotating support just like a lathe but there you could defer or get away with a clone since they are so adjustable. But sometimes the combo kit deals work out to the accessories being not a lot of extra $$, it all depends. What's the deal with ACER brand? Travers has their Phase II line. They list some specs. They make it sound fantastic. It will be interesting to see what the quality is like if you do order one. A tail stock is a fairly easy build considering what they sell for. I got lucky when I found my 8" Vertex Super Spacer used on Kijiji. It was pretty crusty but cleaned up easily and is super accurate. 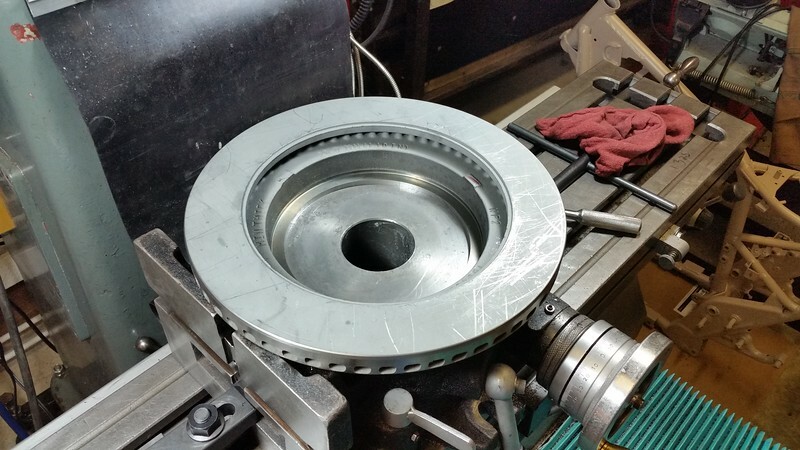 A super spacer is just a rotary table without the table and has a chuck mounted instead.i fabricated a table that can be mounted when the chuck is removed. I'm glad I got the 8" model as the size comes in handy but it's a heavy brute at 175 pounds with the chuck. I don't have dividing plates and although they would make some jobs faster I haven't found a job I couldn't do without them. I paid $200 which I thought was high at the time but just the chuck is worth more than that. Those deals come along once and a while if you are patient, I was just about ready to order an Indian made one when I found the Vertex. Something to keep in mind also, that Grizzly one is for horizontal use only. I use mine vertically a lot. I have a 6" horiz/vert rotary from BusyBee; It is accurate enough: the parallelism and perpendicularity were superb. I got it with the indexing plates and tail stock just 'because... Now I have a project in mind where both will be useful so I'm glad I did. Your mileage may vary. It is clearly a Chinese table, yet the gears inside and the backlash adjustment are very nice. The horizontal AND vertical is a must for some jobs. I've also made a aux table for it to make it closer to 8 1/2" to make work holding better. 6" feels quite small when you start to clamp parts onto it. I'd like a super spacer, but too many $$$ for my wallet. After my chuck/RT centering episode, I view super spacers differently now. I might be wrong but I think you are locked into whatever the jaws deliver concentricity wise. At east with RT you can bolt on different chucks & adapter or irregular parts & adjust concentricity. Maybe super spacers are built tighter standards & that's why they cost more? Anyway, even the small ones can get pretty tall & also heavy. 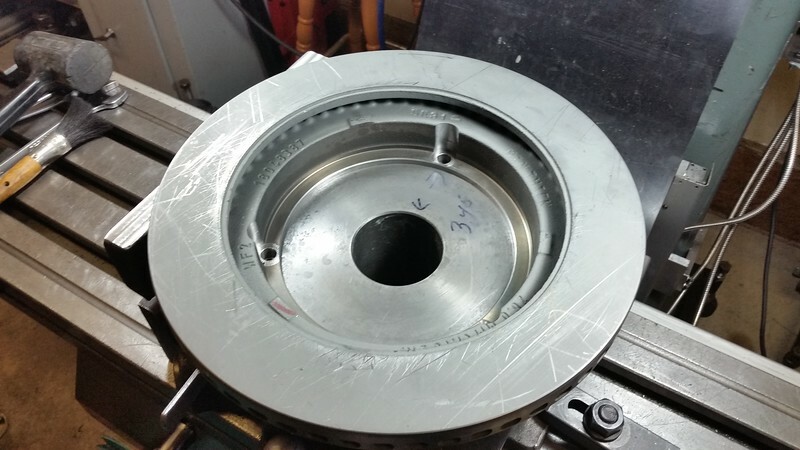 I have checked the runout on my super spacer a few times with different size items in the chuck and it is less than .001" consistently. I don't know if they are all that way but I'm happy with it. You're right Peter, it is very tall and that was a problem with my small PM932 mill but not so much of an issue with the Ferro 10" X 50" mill. I built a table for it from a piece of 5/8" thick 12" round plate that I got for free from a buddy and a new 12" car brake rotor. It looks like this with the chuck removed. 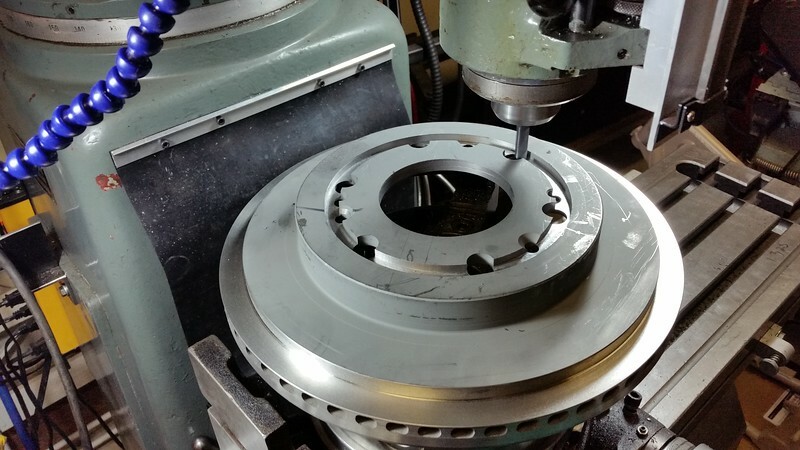 I machined the center out of the brake rotor to fit the centre hub of the super spacer and drilled the 3 mounting holes to mount it. 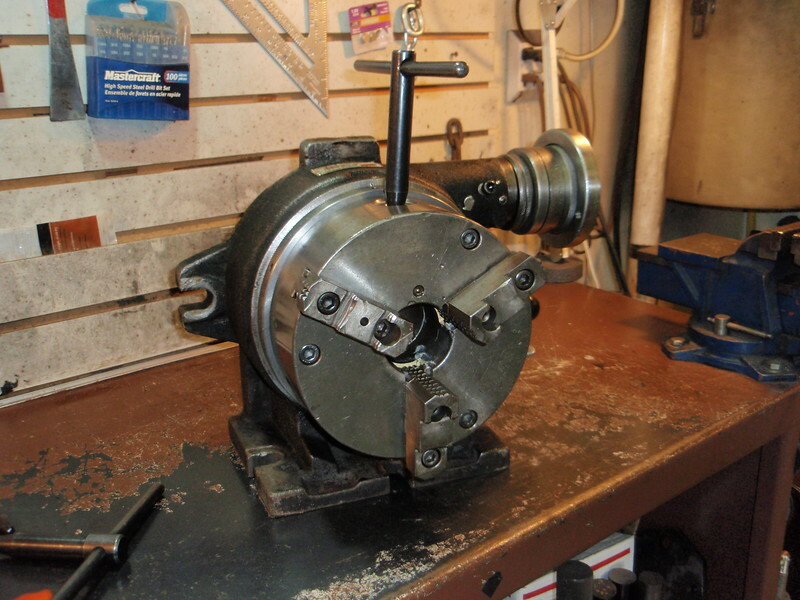 I also have a shop built simple indexer with a 4" chuck that has positive stops each 10 degrees. 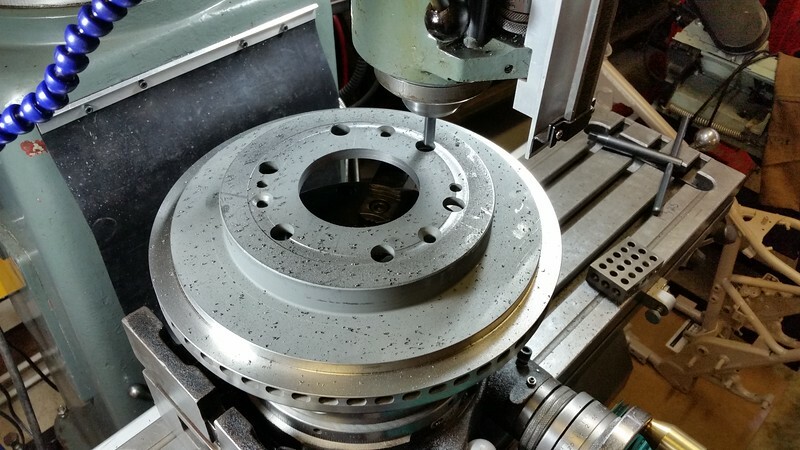 The chuck is mounted to a car wheel hub which is bolted to another brake rotor and can be mounted to my 9" angle plate. I actually use it more than the super spacer. Anyway Janger I didn't mean to hi-jack your thread, I guess my point was you can get good tools used if you wait patiently for them or even make your own. Let us know if you buy that Atoz one. It will be interesting to see what the quality is like. Speaking of India, I just got a reasonably priced MT arbor with extended straight section via Ebay seller. It actually arrived pretty quick. It had popped out of the cheesy fragile cardboard box & bouncing around the padded envelope with a hole in it... :/ but I digress. Anyway, I have many uses for this on the lathe but another purpose is to drop in MT hole of RT & align the 3-jaw chuck to by lightly clamping jaws & cinching down the adapter plate. I'll take a pic sometime. Photos taken by me of sale rotary at busy bee. The cheaper one is much better - taiwan but no plates or tailstock. Quality seemed much higher handle spun under fingers - much better engraving and fit finish. I'm not sure how I feel about only 3 T-slots after having 6 then 4. Its hard enough to clamp up things to the plates of these buggers. Something to ponder. I bought the vertex 8”. It was pricey but it’s very nice. I use toms machining technique to center it with an adapter in the spindle. Pull down into the hole, align, and clamp. Works. Here’s the adapter and the table.. I use that method too. Actually, I was too lazy to machine a special plug adapter because I found an MT3 -> straight segment arbour blank. They are dirt cheap & very accurate. Put the straight segment into your collet & 'plug in' the MT3 section just like he shows. One thing I found is be very careful as you tighten the nuts on RT centered like this because its easy to build in side force on the now loaded spindle due to twisting motion of nuts. Somebody told me its better to use ?what are they called? kind of a thrust washer concept. 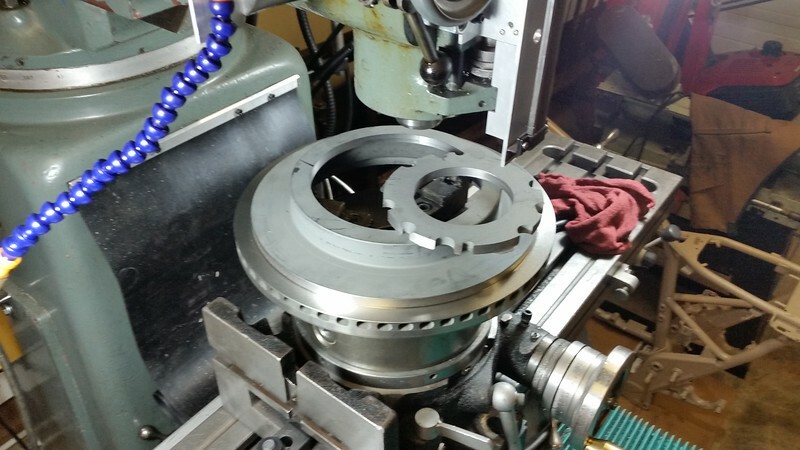 Nice rotary table @Janger . You will have to check the board in your mill I don't remember if it is a 3 or 4 axis board but even if you need to upgrade that all those parts are cheap. 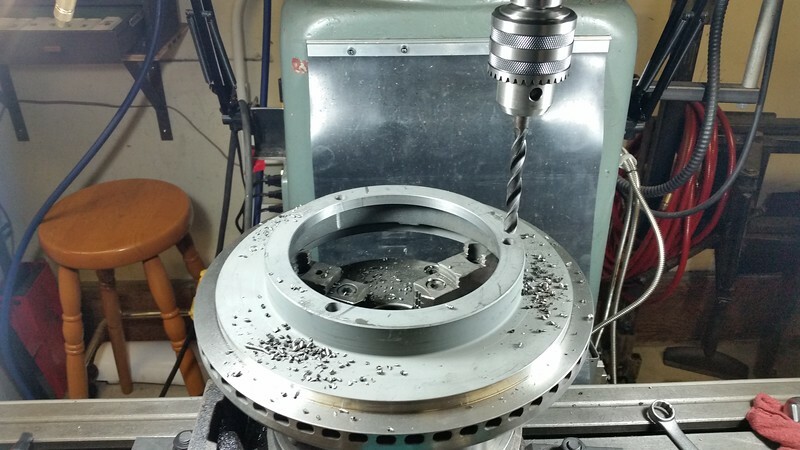 Guy Lautard in one of his bedside readers has some tips for Rotary Table use using tools that screw into a M.T. spud inserted into the tables center hole. I cut the taper off a M.T.#3 drill bit for the basis of mine. I would have bought the 8" if it would have fit on my small mill... but my former mill was too small for it. So I use my 6" with a 1024 Al fixturing plate on it.